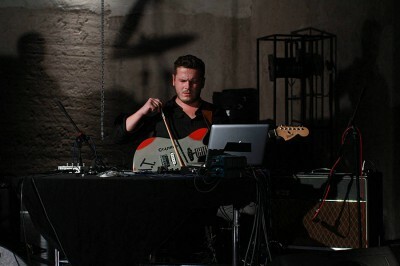 David Kollar (1983) is a guitarist, improviser and film music composer from Prešov. His unique musical vision absorbs and reflects complex music moods, retaining an enviable individualism and a high quality craftsmanship that can span from music creativity to a very powerful and deep sound. Some critics surnamed him “young Andy Warhol” focusing on his dizzy creativity. His album THE SON (Hevhetia) was in TOP records of they year in several countries (USA, FR, CZ, SK). Album has a huge accomplishment in abroad becasue of originality in guitar playing.